This tutorial shows you how to fix Firestick Remote not working issues. Imagine you’re watching ‘The Sixth Sense’ on your Fire TV on a Friday night, but just as the A-bomb last scene is coming up, you feel an uncontrollable need to take an intermission. So you press the pause button on the Firestick remote, dash to the toilet, and return as fast as you can, only to find, to your horror, the closing titles playing!!! What the heck is happening here? You are bewildered beyond words. And you know you had pressed the pause button, but then what happened? So,you frantically ram the right-hand thumb on the rewind button, but the Fire TV remote doesn’t respond. The closing titles continue to play out, ever so slowly. And then the screen turns black. You are going GRRR!! with anger and want to smash the Fire TV remote to million pieces. But you don’t, because you know the damage has been done, the evening has been ruined. Maybe you can make the Fire TV remote return from the dead, rewind to where you left off, and watch the last scene—and go to bed feeling at peace with the world. Fire TV playing truant is a pretty common issue. And several easy ways currently exist —all discussed here — to solve it. Have you just taken your Fire TV remote out of the box and found it not working? If your Fire TV remote is old and has suddenly gone kaput, check out the solution# 2. New Fire TV remotes come pre-paired. However, exceptions can occur. In case the replacement or new Fire TV remote stops responding, there’s a strong chance that it hasn’t been paired properly. As the Firestick boots, press down ‘Home’ button (the middle one in the first row below the navigation band) on the Fire TV remote for anywhere between 10 seconds to 2 minutes. This simple procedure pairs the FireTV remote with Firestick. Now your Firestick remote not working issues should be solved. Note: In case pairing doesn’t happen in your first attempt, try 2-3 times more. Usually, the Fire TV remote is paired the first time. However, in very few cases, more attempts might be needed. What if my Firestick is already connected to 7 devices? The maximum number of Bluetooth devices you can connect with a Firestick is 7, and this includes remote controllers. If 7 devices are already connected, disconnect one to make up space for the Fire TV remote. Go to the home screen of Firestick. Select Settings (the one appearing in menu bar on the top). A list of connected devices will appear. Go through it and select the device that you want to unpair. Next, follow the instructions that appear on the screen. Battery draining issues with Fire TV remote is common—and unsurprisingly so. It consumes a lot of battery power for no good reason at all. 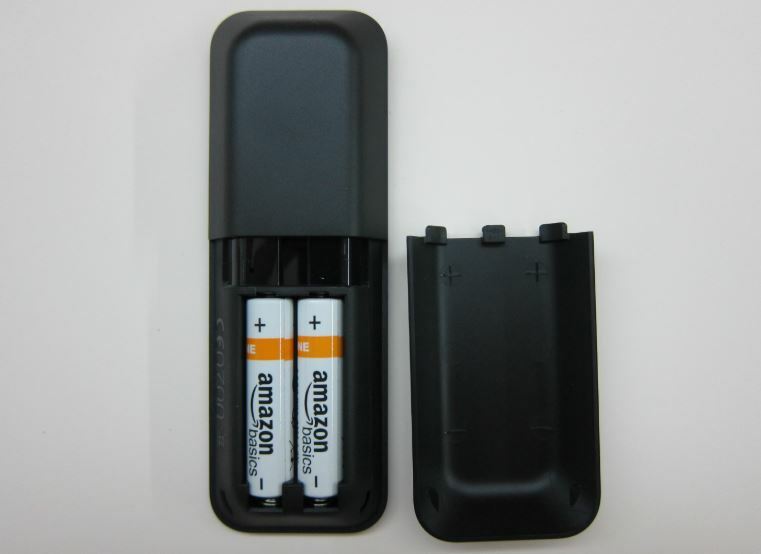 In case the FireTV remote has stopped working all of a sudden, chances are its batteries are exhausted. If you have spare ones, insert them and check. As far as possible, use good quality alkaline batteries for they have a considerably longer life than others. And in case you don’t have spare battery, you can use your TV remote or phone to control Firestick. The steps for both are discussed ahead. It is possible to control Firestick with your smart TV remote. The solution is not perfect, but it gets the job done. So all in all, it is not a bad temporary solution. Also note that the exact steps to use smart TV remote to control Firestick vary for different TV brands. With that said, the overall procedure is more or less the same. You just have to enable CEC. By default it is disabled. Enabling it will allow you to use your TV remote to control Fire TV. Note: In some smart TVs, you’ll find HDMI Control instead of CEC. So if you see HDMI Control, and not CEC, in your TV, just enable the former. CEC (or HDMI) exists in your TV Settings menu. Access the CEC menu on your TV by going to your TV’s Settings area. In some TVs, like Vizio, it is located under System inside TV Settings menu. If you lost your fire TV remote, you can, of course, use your smart TV remote. But as said, it is more suitable as a temporary solution. Therefore, a better solution would be download an app on your smartphone and use it as a Fire TV remote or get a new fire TV remote. The app you need is Amazon Fire TV Remote App. It’s available on Google Play and stands as one of the most popular Fire TV apps. Users downloaded this app more than 5 million times. Its overall user rating is 4.4 out of 5 (that’s impressive!). You need Android 4.0.3 or above to use it. After you’ve installed it, pair it with your Fire TV. Pro Tip: Need to jailbreak your Firestick? Use our Firestick jailbreak step-by-step guide. 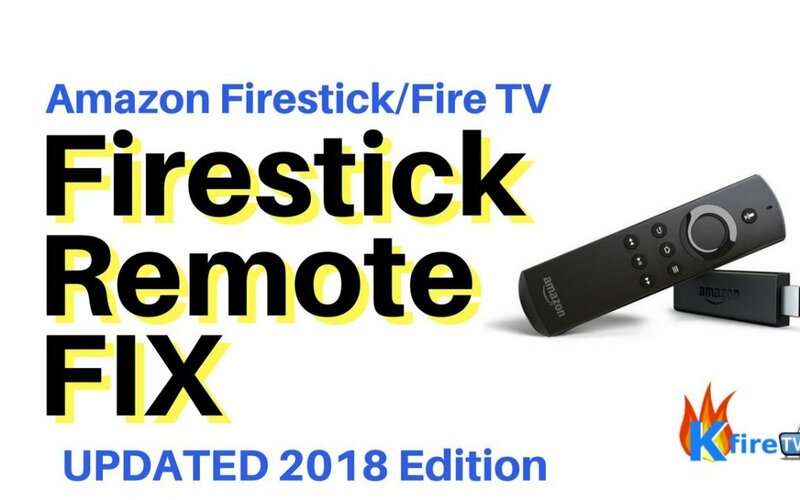 If you still need to fix Firestick Remote not working, then your last option is to buy a new Firestick remote (see the link below). You can order a new Fire TV remote for $15 from Amazon. Just click here. If you want Alexa Voice functionality, you need to spend an additional $15.